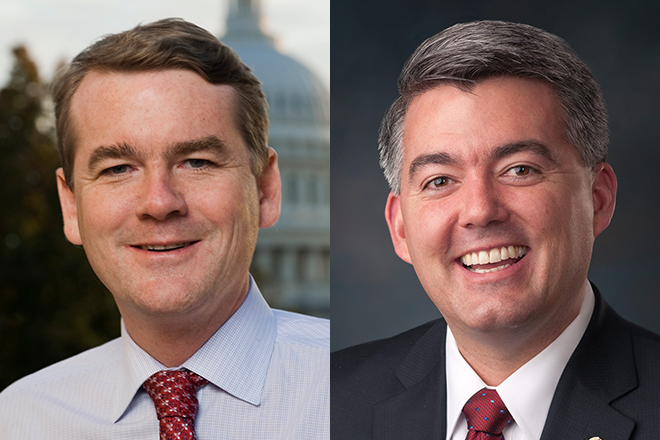 An amendment cosponsored by Senators Cory Gardner (R-CO) and Michael Bennet (D-CO) to maintain Amtrak train services along the established, long-distance passenger rail route of the Southwest Chief, #3665, was included in the 2018 Transportation, Housing and Urban Development, and Related Agencies appropriations bill. This amendment would provide resources for maintenance and safety improvements along the Southwest Chief route and would compel Amtrak to fulfill its promise of matching funding for the successful TIGER IX discretionary grant. In addition, this amendment would effectively reverse Amtrak's decision to substitute rail service with bus service over large segments of the route through FY2019. "I'm excited to support an amendment that will greatly help the Southwest Chief's continued presence in Southeastern Colorado," said Sen. Gardner. "The amendment secured by the bipartisan coalition in the appropriations bill will set aside funding for route improvements and enhancements, providing the opportunity to ensure the Southwest Chief stays in Colorado and continues servicing the rural areas that desperately need it." "The Southwest Chief is an important component of Southeastern Colorado's tourism economy, and we will do all we can to preserve it," said Sen. Bennet. "We'll continue to work closely with lawmakers from Colorado--and also New Mexico and Kansas--to keep running the Southwest Chief through our state." The Southwest Chief runs daily between Chicago and Los Angeles and connects towns and cities in Kansas, Illinois, Missouri, Iowa, Colorado, New Mexico, Arizona and California and provides passenger train and long-distance passenger service, particularly through rural communities.